There is strength in numbers and we bring together laboratories to reinforce health systems. Forming networks of laboratories not only reduces the time needed to take action and deliver a joint response, it is also a key factor in a health system’s performance, because it enables expertise to be shared and synergies to be brought into play. We are involved in a number of projects seeking to build laboratory networks: RESAOLAB in West Africa, LABOMEDCAMP in Mali, CAM-LAB in Cambodia, Lab Kham in Laos, RESAMAD in Madagascar and SPHaïtiLAB in Haiti. Spurred on by the success of the RESAOLAB network in West Africa, since 2015 the Mérieux Foundation has been coordinating lab strengthening activities for the West Africa Regional Disease Surveillance Project (WARDS), financed by the World Bank and the West African Health Organization (WAHO). We deliver training to staff running epidemiological surveillance centers. 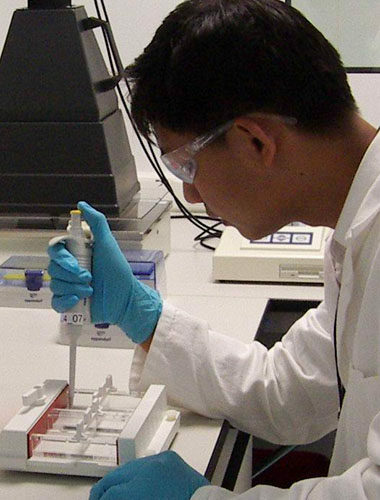 We support the Cambodian Laboratory (CamLab) Network, the national network of clinical laboratories. 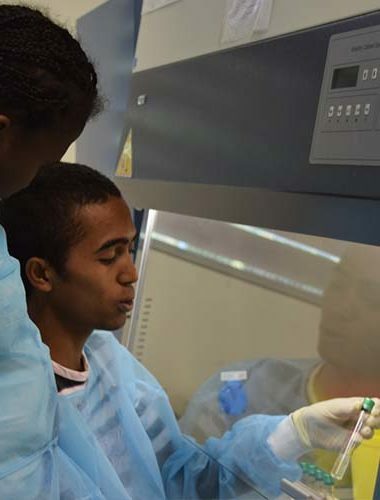 Creating a laboratory network in Madagascar by renovating and equipping laboratories and providing training for lab personnel.